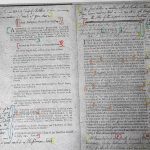 Basically, what we did was this: we chose half-a-dozen pages that seemed to include representative examples of Blake’s annotations, printed out paper copies and came along to the meeting armed with colored pencils and pens. 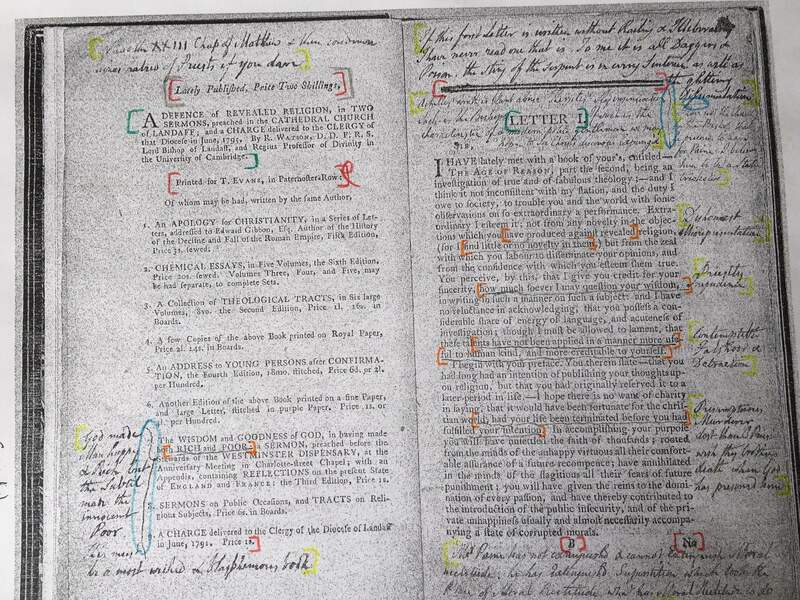 We then each marked up a couple of pages using different colors to highlight all the elements that we thought were important to encode. 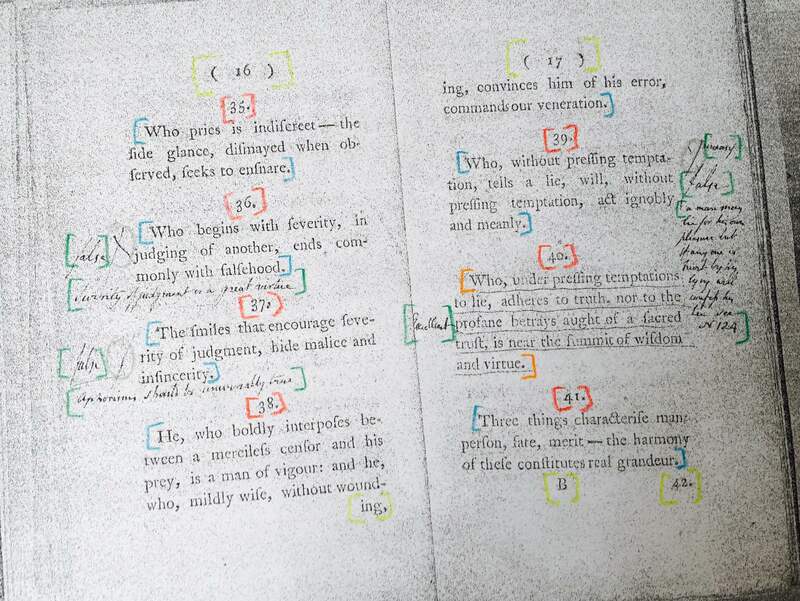 So, for example, in the left-hand example below, green indicates a textual marginal annotation by Blake, orange is original text that Blake has underlined, yellow is for details like page numbers and catchwords, and so on and so forth. The beauty of this method is that it forces you to focus on the object in front of you, helping you to identify key features without having to worry about translating your observations into a formal mark-up language. It’s also very easy to get distracted by worries about how the work will be eventually displayed after publication, which at this stage we shouldn’t be concerning ourselves with at all. The pen-and-paper strategy is at once process and result, removing the impulse to think of the digital environment that a work may or may not exist in at some point in the future. 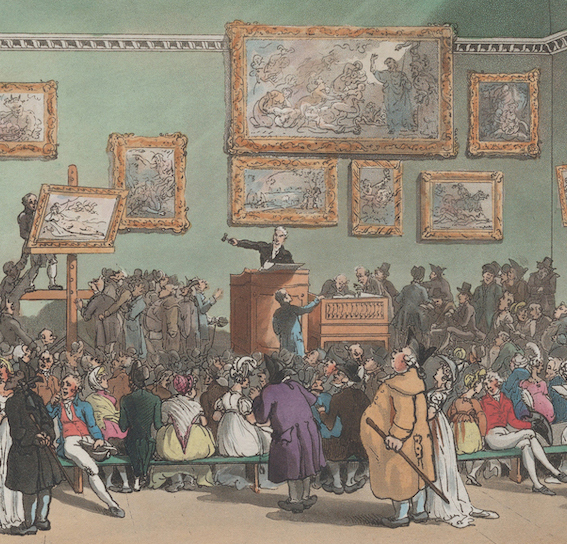 Blake’s annotations fall into very distinct categories that are relatively easy to distinguish between. For example, marginal annotation (text), marginal annotation (symbol), underlined original text. We would really like to find a way of transcribing non-Blake text because it is essential in contextualizing the annotations. 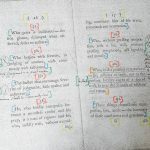 The main structural component of our marked-up pages was the inscription, regardless of the author, whether it was handwritten or typeset, textual or symbolic. Therefore we are thinking of using one general element to tag annotations, and develop a set of attributes to describe them in more detail. 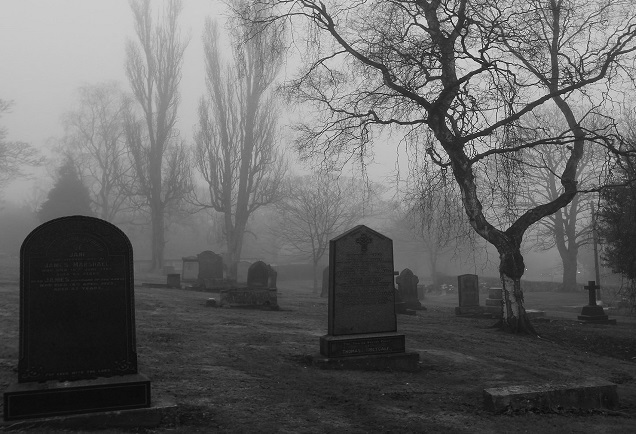 For example, <annotation type=”symbol”> or <marginalia place=”left”>.